He is waiting for our call. Yes he has a million other things to do, but one of them is waiting for us to call on him. The creator of the Universe set a plan in motion for us to be able to make our way back to Him. He knows what time there is left and I can imagine he’s waiting for each and every one to come. He wants none to perish but for all to find salvation for themselves. Our Father, Creator, Saviour has completely surrounded us with signs that are pointing to him. It’s isn’t hard to find him if you are seeking him. Just as he longs for us to seek him, he also seeks us! His footprints are all around us even though we may not see them yet. 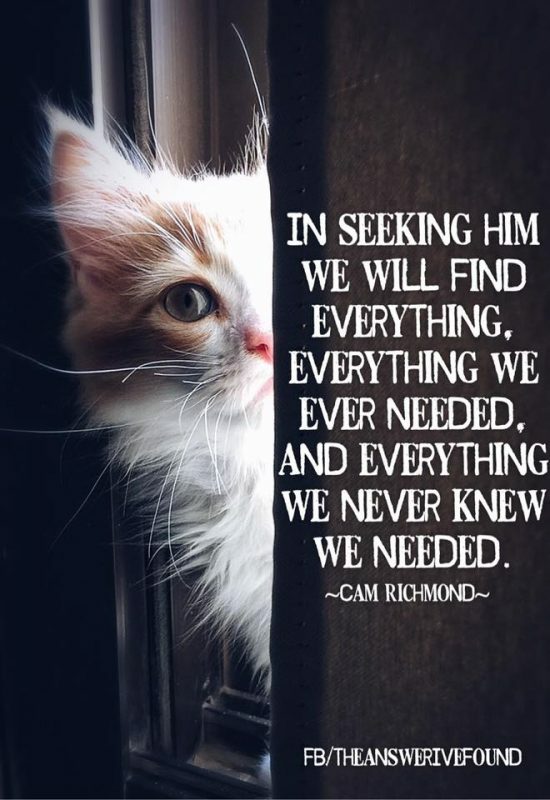 In seeking him we will find everything, everything we ever needed, and everything we never knew we needed. In seeking him we will be found. We will never be lost again. We will always be with him no matter where we are. Seek the Lord implies to me that he is wanting to be sought, he is wanting to be found. This verse could say ‘look’ for the Lord and seek does mean look, but without even looking into it, the word seek is far more emotive and described pursuit. There is a time or season for each of us, and a period of time for us all as humanity, this time will one day run out. It suggests we should waste no time! And even then not only seek but call. Call on him. What will result from seeking and calling on the Lord? Firstly revelation that leads to repentance, salvation and eternity, this is the most preeminent reason. If we seek and find him, call and hear him we will receive his words of life to us. His words of life for us, our families, our situations, the answers to our questions, the direction and guidance that we need to set us on the right pathways. We will receive strength for the journey, and our faith will be lifted as faith comes by hearing and hearing by the word of God. Seek the Lord, and find him. He is waiting for you to come. found, fulfilment, God, hope, Jesus, life, needs, search. Bookmark.